Talent acquisition and recruiting professionals will reunite in San Francisco from January 31st to February 2nd for the highly anticipated Social Recruiting Strategies Conference, one of our favorite shows of the year. Why? Because SRSC brings together top industry leaders to offer the latest on social recruiting trends, sourcing techniques, and employer brand best practices. 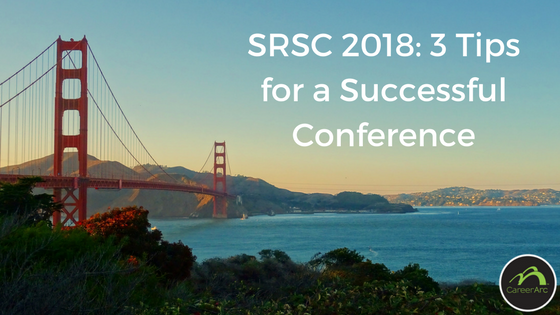 To make the most out of your trip to SRSC San Francisco we’ve highlighted three tips to help maximize your time at the conference. Connecting with attendees before and during the conference is not only a great way for you to meet other talent acquisition leaders but it will also help you gain the most from your conference experience. What often helps break the ice is learning and sharing what has gained attention at the show and what topics are dominating the online discussion. Be in-the-know by following the #SRSC and #SRSCTribe Twitter pages. You’ll be able to engage with the SRSC community as they prep for the conference and see live tweets during the conference from attendees sharing their thoughts, snippets, and stats on content covered during the sessions. SRSC also offers networking events each day. Connecting with other recruiting professionals in attendance will help you learn what’s going on in your industry and get some inspiration from others who have overcome challenges you might be currently facing. On its sixth year running, SRSC is back this year they with four new session tracks, including tips and tricks for recruiting and how to master candidate engagement. 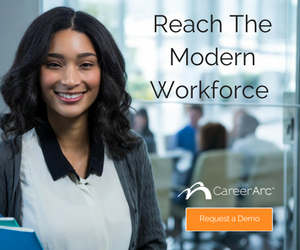 With four generations of employees under one company roof, companies with a one-size-fits-all recruiting approach risk reaping diminishing returns. Learn which tools and tactics are necessary to hire the best from any generation. Gary Zukowski will list the do’s, don’ts, and must-haves to attract the talent of today, and tomorrow. Twitter Poll >> Does your company have a #recruiting strategy in place to target #millennials on social media? Cast your vote here. Join industry leaders, Audra Knight with Tenable Network Security, James Ellis with Groupon, Lisa Parks with Travelers and Steven Kosakow with Lionbridge as they discuss how to evaluate platforms for using corporate or career channels to hire and how to team up with marketing to support your efforts. If their names look familiar, you may have seen them here. 3. Visit San Francisco Landmarks A day of networking and conference sessions calls for a night of fun. You can’t leave San Francisco without doing some sightseeing. Make sure to stop by Fisherman’s Wharf, which is just a few blocks from the conference on the northern waterfront where you’ll have a great view of the Golden Gate Bridge and the popular Alcatraz. Take advantage of the unique attractions like Madame Tussauds wax figures or catch a shark feeding. Speaking of feeding, Fisherman’s Wharf has a lot of delicious food options. Indulge in a creamy clam chowder bread bowl at Boudin, and for dessert, stop by Ghirardelli Square for some decadent chocolate. Maximize your time at SRSC. Get three helpful tips for a successful conference.